Increasingly, our work is about more than just one app or website; we’re challenged with tackling whole ecologies of digital, physical, and blended interactions. Meanwhile, technology is making it harder every day to achieve coherence and clarity from touchpoint to touchpoint. It turns out, the best way to design for everything everywhere is to start with the fundamentals: how do humans really perceive and take action in their environment? The Understanding Context workshop takes you deep into new ways of seeing the building blocks of human experience, with ideas and methods that will change the way you think about designing for humans. Spend a day going deep into making sense of making sense, by exploring and modeling the experiences around you. Learn basic and advanced concepts about how humans interact with physical, semantic, and digital information. Get on your feet and explore the real world around the conference venue, gathering data for analysis. Collaborate in teams to analyze and model the contexts you encounter, and devise ways to make them better. Get new ideas about how to make things make more sense, whether you’re doing web design, service design, or interaction design. This workshop is suitable for practitioners at any point in their careers. Just bring a desire to explore and an open mind! Andrew Hinton is the author of “Understanding Context: Environment, Language, and Information Architecture.” In his day job he works as Senior Digital Experience Architect at State Farm’s UX Center of Excellence in Atlanta, and previously served as a senior consultant at The Understanding Group. 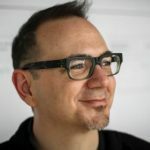 Andrew is a co-founding member of the Information Architecture Institute, and has worked for twenty-odd-years helping organizations using information to make better places for humans.